Sam Vaghar is a social entrepreneur committed to helping young people own their voice and power for social impact. 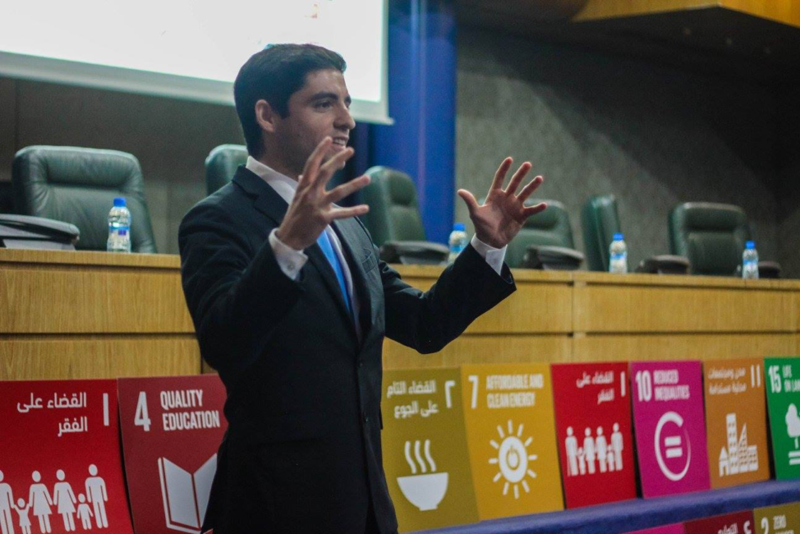 With a decade of impact leading Millennium Campus Network (MCN), Sam has built a student movement for the UN Sustainable Development Goals in 13 nations. He is a 2008 graduate of Brandeis University and received an Honorary Doctorate from Becker College in 2018. Sam has given talks at over 100 institutions worldwide, including at Harvard University, MIT, the White House, the United Nations, the Vatican, and on speaking tours across four nations for the U.S. Department of State. In addition, Sam serves on multiple Boards, including serving as an Advisor to the Executive Director of UN Women. 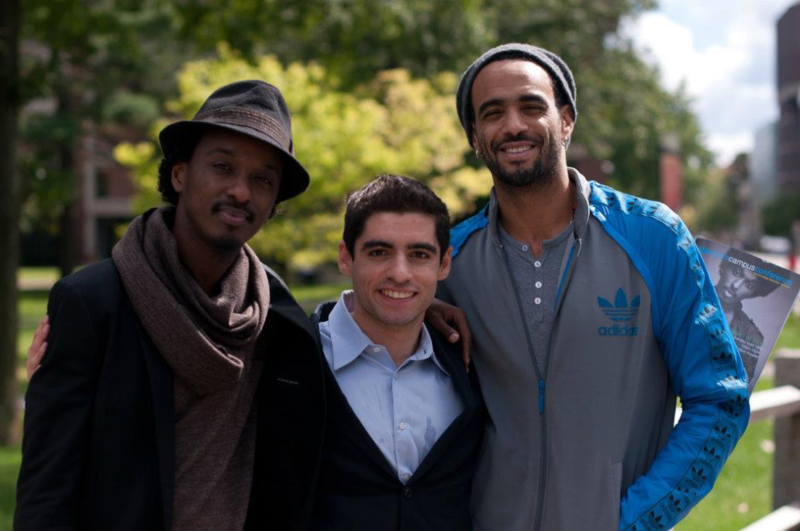 Sam Vaghar with K’naan and Sol Guy at MCN’s third conference at Harvard University. K’naan encouraged attendees to learn about themselves and why they want to give back, as well as about the people that they are trying to help. 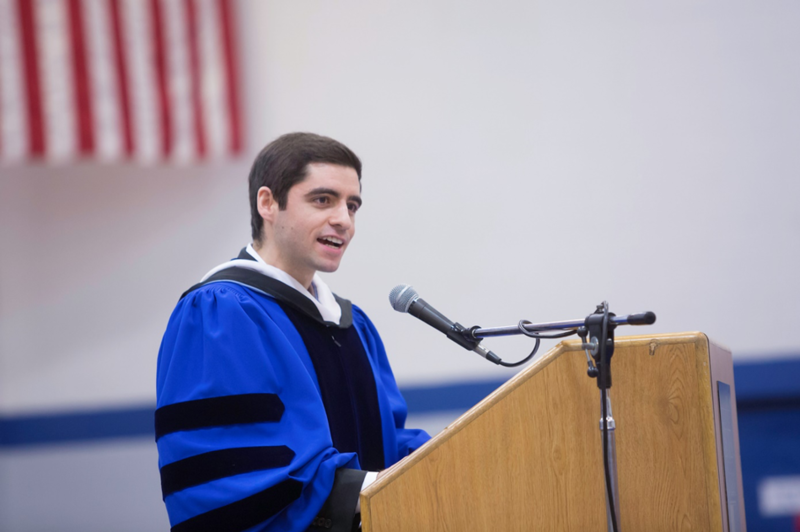 Sam Vaghar delivering the Lynn University Commencement Address in 2013. Sam Vaghar speaking in the United Nations General Assembly Hall. Sam Vaghar after a presentation in Morocco for the US Department of State in 2013. In his first trip to Morocco, Sam connected with youth and educators across six cities, sharing MCN and cultivating friendships that led to MCN’s first conference in Morocco in 2017. Sam Vaghar at the U.S. Embassy in Rabat, Morocco with Chargé d’Affaires Stephanie Miley and Public Affairs Officer Erica Thibault. The U.S. Embassy partnered on MCN’s 2017 conference in Morocco. 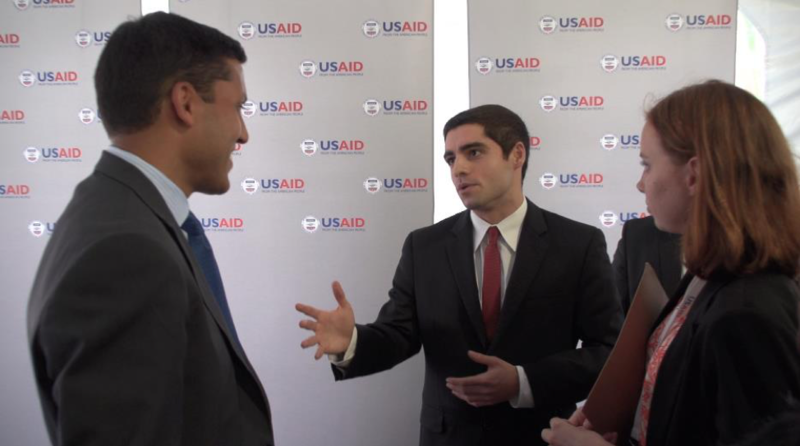 Sam Vaghar sharing MCN with Dr. Rajiv Shah (President, Rockefeller Foundation, former Administrator, USAID). Sam Vaghar leading a group exercise during his reamrks at MCN’s conference at the United Nations. 500 young leaders joined together alongside actor Terry Crews and more global leaders. At nineteen, Sam Vaghar was a sophomore at Brandeis University searching for purpose. His life changed when he read two books on extreme poverty and set out on a journey, connecting his peers to change the world. 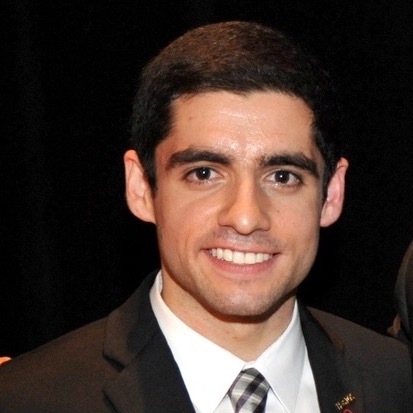 Today, Sam heads the non-profit he co-founded in college dorm rooms, Millennium Campus Network (MCN). MCN is building a generation of ethical, collaborative leaders. In partnership with the United Nations Academic Impact, MCN has co-launched the Millennium Fellowship. The network provides training, connections, and recognition to undergraduates advancing the UN Sustainable Development Goals on university campuses in 13 nations. To date, MCN has helped over 6,000 young leaders have deeper social impact, with 75% of alumni now working in social impact careers in the public and private sectors. Along the way, Sam has learned by trial and error how to get out of his comfort zone, build an organization from scratch, and cultivate relationships with people who are marginalized and world leaders alike. If you are looking to energize your community, consider Sam Vaghar for your next event. 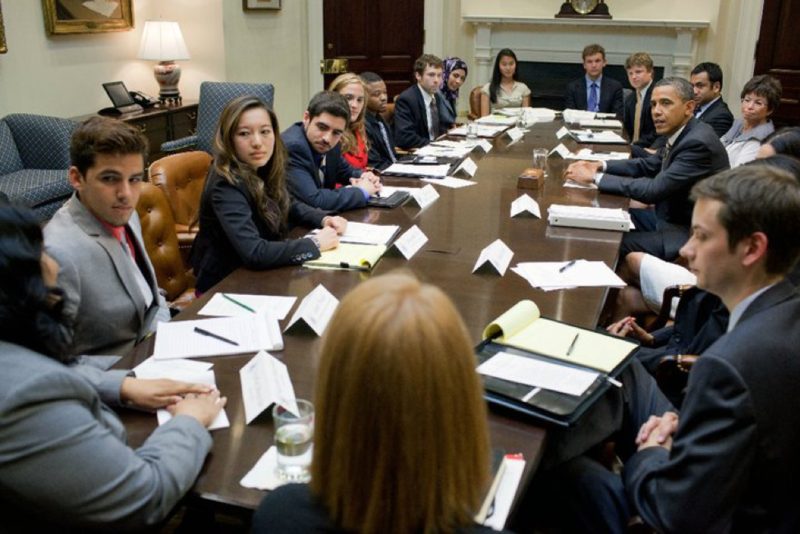 Sam’s personal story has inspired tens of thousands of leaders at convenings from college campuses to the United Nations and White House. 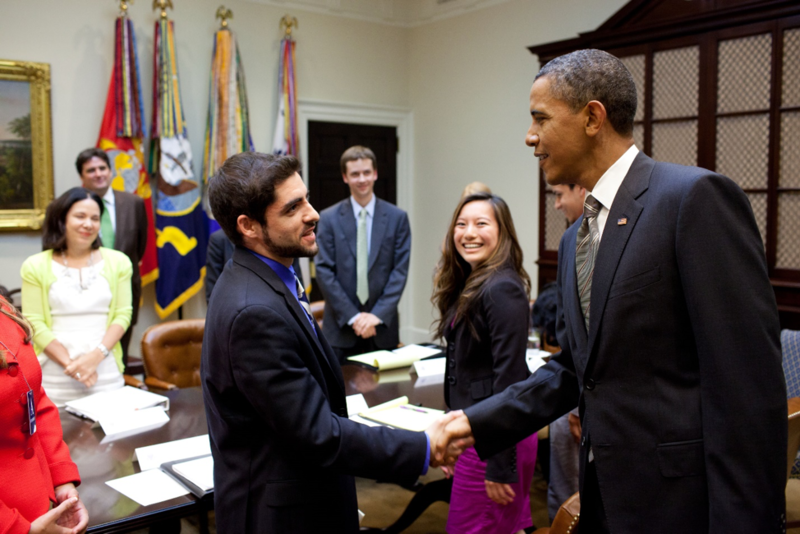 Getting out of your comfort zone: Learn how the courage of reaching out led a shy student to become a social entrepreneur, meeting with President Obama in the White House, traveling to four countries with the State Department, and building a student movement for the UN Sustainable Development Goals in 13 nations. Launching a venture: Sam can walk you through the early days at MCN – how with limited resources a small team built the network in their dorm rooms – and have to date convened and trained over 6,000 young leaders for social impact careers. Building strong relationships: If you’ve ever wondered how to network and cultivate a new relationship – whether it is with a colleague or a world leader – Sam can walk you through a three-step process to break down barriers and build human connection. Sam has given talks at Commencements, conferences, and small workshops – with groups as small as 7 and as large as 7,000! He can also engage in 1:1/small group meetings with attendees who are looking for additional support on everything from planning an event to building a social impact career. How did you learn about Sam & MCN? *Note: Please submit this form at least two months ahead of the event if you are requesting an in-person engagement.